(Video) They Test a $1 Knife VS a $400 Knife – It’s a Battle to the Death! At Die Hard Survivor, we are all about quality. If you can get a piece of prepper or survival equipment, something practical and you will use it to death, that is the best there is out there and you can afford it, go for it! We are not snobs but, generally speaking, if more than a few experts recommend a weapon, a purification device, or even a canning additive and it costs a little more than we want to spend, it’s probably a good idea to save up and invest in it. These are the items that will be around for the long haul and while we may not have the cash now eventually, saving our pennies, we can spend and know we have the best and it will aid in our survival. Having said this, there is also no crime in finding an item on the cheap and discovering it can do the same job as something you might spend a small fortune on! What we need to do is make comparisons and this is exactly what the outdoorsmen on the next page are doing when it comes to knives! 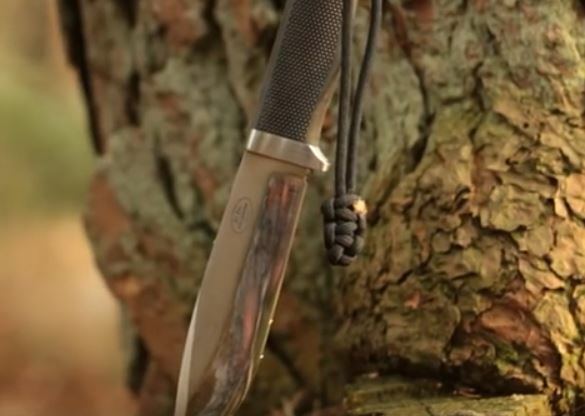 Can they get away with using a dollar ($1) knife in a wilderness situation? Go check it out! You’re a fool if you spend $400 on a knife. A $10 knife stabs all the same. After reading your stupid tread on surviving a nuclear blast I’m not even reading this one and I’m seriously thinking of dropping this page entirely . I$#%&[email protected]*myself from laughing so much and so hard! Quit watching stupid people do stupid things with knives. Use a knife for what it was made for and a $1 knife is perfectly fine. The best knife is the one on you. Use it within it’s capabilities and what it was designed for and you’ll be fine. Take it outside it’s design and you get a stupid user, not a crappy knife.